iLEAD International School focuses on developing relationships, building self-confidence and self-awareness, as well as managing feelings and behaviours which lays the foundation for students to become well-rounded and productive members of society. Physical development, often underestimated, is one of the most important parts of every child’s development. 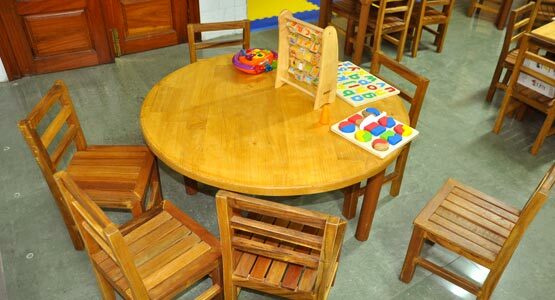 Education in this area develops fine motor skills, hand-eye coordination, as well as healthy and hygienic habits. The communication and language component of the curriculum will teach students the essential listening, reading and writing skills in both English and Khmer. Literacy is purely focusing on reading and writing. Students will also begin to learn the very basic foundations of mathematics in an easy, fun and accessible way. They will be exposed to pattern, shape, space and measurement recognition. The world we are raised in consists of people and communities. Children learn about our environment and people’s role in it, and also the growing importance of technology in our everyday life and development. Art is a very broad field that helps exploring and using various media and materials in order to develop imagination. *Note: Learning to play music instruments and dance classes are to be introduced in the near future.